Cutter for buttonholes or small fabric cuts. A cutter used for opening buttonholes or small cuts on fabrics. 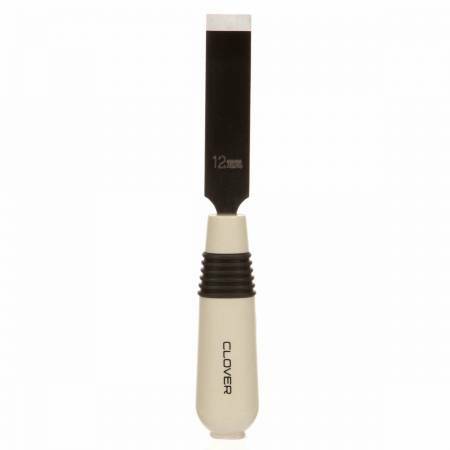 The sharpend chisel edge will cut any width opening when placed over block of wood and pounded gently.